In appearance, Kwame Nkrumah is a slender man in his early forties, of middle height, with a mop of frizzy hair, big soulful eyes, a sultry, sensual expression and a trace of petulance, of prima donna touchiness, in his manner. He is, I am sure, a born actor, with all the magnetism, emotional sensitivity and panache of a good players. To say this is not to suggest insincerity. A true actor believes entirely in the reality of his characters. Nkrumah’s part is that of the savior of this people from foreign oppression. To give point to the part he has had to invent the oppression, but that was not difficult, nor in his eyes wrong. Nationalism is a passion, not an exercise in logic, and to passion’s servant all means are justified. 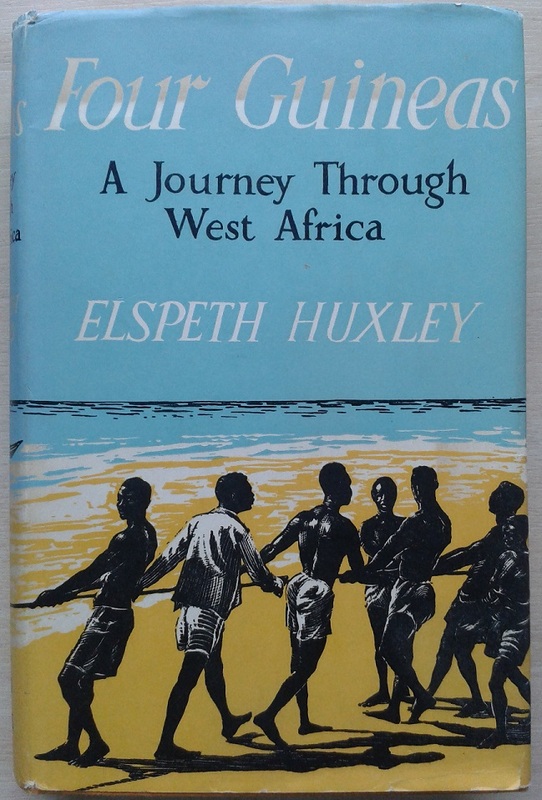 Some weeks ago I found this book in a second-hand bookshop in south Manchester: Four Guineas: A Journey Through West Africa, by Elspeth Huxley. Printed in 1957, first published in 1954, and in remarkably good shape for a book that old; perhaps a long forgotten resource in a dusty library, as the volume does not seem to have been read more than once or twice in sixty years. Dr. Nkrumah’s rise is something new in Africa, not because he seeks power–there is nothing new in that–but because the ways in which he has gained and now holds it are alien. African tribes had evolved, before the European advent, an elaborate and most effective system of curbing the abuse of power by their rulers through councils, elders and priests. All this has now gone by the board. As yet, Africa has no technique for curbing people like Dr. Nkrumah. There are Englishmen who find this bitter, and some are quietly leaving the Gold Coast. Yet those who stay have their answer. 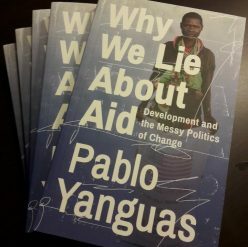 Human nature cannot be changed in a day, politics is the art of the possible–all the clichés, which have become clichés just because they are true. But old wine in new bottles may turn sour. Chiefs were trained to give as well as to receive, and schooled in moderation. Most of the men who are replacing them are not. They may have passed the right examinations, but moderation is not on the syllabus. There is no custom to guide and little public opinion to restrain, but family demands and a states for new-found pleasures to eff them on. They are moral freebooters, for the most part. And so what started as a tribute becomes an exaction. The finest of lines divides the voluntary offering of a few eggs from the whispered word that if ten shillings to the Party funds is not forthcoming there will be unpleasantness. Support for chiefs who have lined their own nests is not a popular cry at a time of revolution. Dr. Danquah, for years the firebrand of Accra, the nationalist prophet, the British thorn, now finds himself in peril of ranking as an old reactionary. I left him with the feeling that here is a highly intelligent, cunning, delightfully mannered, puzzled and disappointed man, who has lived to see the fat chicken he was stalking fall to a hunter even cleverer than he. For whatever reason, democracy is our religion and members of the Colonial Service a highly disciplined and paid cadre of missionaries trained to spread the gospel of elections, votes, local councils, parliaments, ministers, bureaucracies, free speech, high taxes and all the attributes of the welfare state. Because it is difficult (though not impossible) for illiterates to vote, and certainly impossible for them to study with suitable gravity and attention the claims of various candidates, “education” (which in this context means learning to read and write) is a prerequisite to democracy. Reduced to its bare bones, the modern thesis is that everyone must learn to read and write so as to be able to vote and become a good democrat: a close parallel to the belief ascribed to an older generation that everyone must learn to read and write so as to be able to read the Bible and become a good Christian. Who was this woman who in 1954 wrote so eloquently about African politics? It turns out Elspeth Huxley has a Wikipedia entry, and even a New York Times obituary. The daughter of a colonial farmer in Kenya, she studied agriculture first in England and then in the United States (at Cornell of all places! No wonder I felt a strange kinship with her…). As an interesting bit of trivia, her husband was the nephew of Aldous Huxley, of Brave New World fame. Author of over 30 fiction and non-fiction books, she became a chronicler of sorts of African independence for a British audience. Early on she seems to have supported colonialism, but later she became a supporter of decolonization; based on her writing, I would say Elspeth Huxley probably believed that “Africanization” advanced too rapidly for Africa’s own good, given the low levels of literacy among future voters and the dearth of trained professionals in many fields. What fascinates me above all is that, at a time when Western societies still confined both women and Africans to a subordinate role, Elspeth Huxley dared to become an astute chronicler of African political economy. Four Guineas may be a dated chronicle, no doubt, but it sure beats a lot of the prose that is written by specialists these days.